Check out Naval Bagels tasty menu items. Naval Bagels has an interesting history full of awards. Click here and get in touch with us today! Voted best bagels in Annapolis; and for good reason. Their fresh-baked bagels are hard to beat. If you get there early enough the bagels are still warm. mmm! They sell breakfast and lunch sandwiches too. It's a quick in and out shop with barely enough room to breathe when it gets hoppin. The coffee is fresh and they have plenty of beverages to choose from. I totally recommend stopping in this place for a bagel. It's close to the Rowe Blvd Exit on RT 50 so its an easy jump back onto the highway to go to work. The service I have experienced is friendly and to crowd expectations. Parking is abundant in the strip mall parking lot. 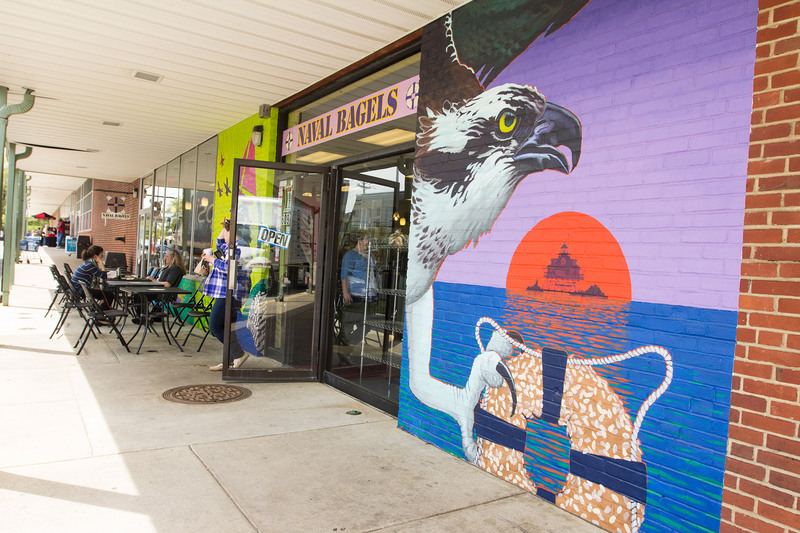 Verdict: This is a top-notch spot to get Bagels in Annapolis. Naval Bagels is a great local shop that has the formula down. I don't like the chain places, and Naval Bagels is exactly the reason. The bagels are delicious, they have lots of options, with homemade spreads, and other tasty treats. Naval Bagels doesn't complicate this equation. There is limited seating indoors and out, and it seems most people just stop by to pick something up.